Welcome back to another edition of the Members’ Roundup. This week we have a variety of topics covered by CIMSECians around the globe. From developments in anti-ship missiles to land reclamation in the South China Sea, here is a roundup of the must-read articles for the weekend. Darshana Baruah returns this week with another post over at The Diplomat. As Darshana describes, ‘small islands dotting the Indian Ocean are emerging at the center stage of great power politics unfolding in the Indian Ocean Region.’ As China looks to expand its presence beyond the South China Sea, here is a list of islands that can support China support its aims. You can access the article here. When Air-Sea Battle was publicly introduced into the nomenclature of strategic thinking there was a flurry of criticism, both from a diplomatic perspective as well as commentary on the effectiveness of the concept as a whole. With ASB’s redesignation as JAM-GC (Joint Concept for Access & Maneuvre in the Global Commons) Himanil Raina explains how the Army can contribute. You can access the article through the Centre for Land Warfare Studies. 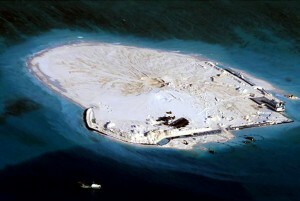 China continues land reclamation in Johnson South Reef in the South China Sea, otherwise known as the Mabini Reef by the Philippines and Chigua Reef by China. Mira Rapp-Hooper, Director of the Asia Maritime Transparency Initiative, continues to inform with an analysis of ‘before and after’ imagery of several reefs in the South China Sea. All of the land reclamation involved has not gone without notice and is publicly acknowledged by the Chinese. Confidence building measures (CBM) have been agreed to by the Chinese and the United States, aimed at reducing accidents and the risk of escalation. The goal of these measures, however, are wider reaching and are non-binding. As Mira explains, the best sign these CBMs are working may be if we don’t hear much about them at all. You can access her article here. A Norwegian Coast Guard vessel patrols the Arctic. James Stavridis, retired Admiral and Dean of the Fletcher Law School, recently returned from a voyage through the Drake Passage (between South America and Antarctica) and penned his thoughts about the state of the southern landmass. 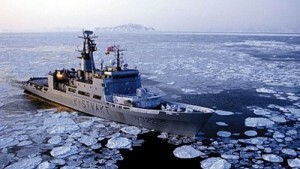 Antarctica continues with broad international consensus on its future and there is no conflict over the area. So what can be learned from this place and how can it be applied to the Arctic, where tensions are rising over claims and resources. You can access the article here at Foreign Policy. Over at The National Interest Harry Kazianis begins a new series looking into the security competition that has been developing between the United States and China. With all the recent media attention on ISIS and the situation in Ukraine it is easy to miss the signs of the competition brewing between two of the world’s largest powers. Over at The National Interest, Zachary Keck reports that the US Navy is seeking a submarine-launched stealth anti-ship missile. 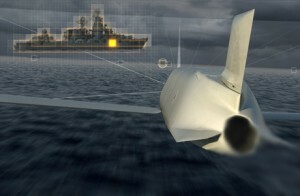 It is believed that the missile is based on Lockheed’s Long Range Anti-Ship Missile (LRASM). You can read more about this development here. Finally, a quick plug for my own work for this week’s edition. Earlier this week the Australian Prime Minister, Tony Abbott released his National Security Statement. 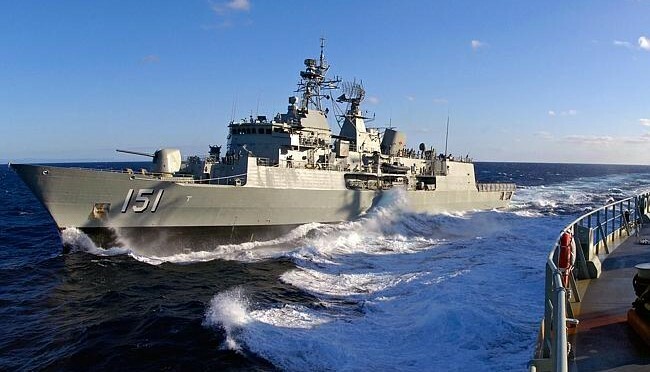 It certainly sets the tone for the current Government’s security agenda but it raises more questions, than answers, in the Australian Security debate. You can access my post here on the YAIIA Insights blog. At CIMSEC we encourage members to continue writing, either here on the NextWar blog or through other means. You can assist us by emailing your works to dmp@cimsec.org.